Most of you must have heard about the Sony Xperia Z which is the recent best and the most expensive android smartphone fromt the brand Sony. Sony has got the USPs for the device to be sold, and one of them is quite unique, and I’ve played around with it to test the feature. 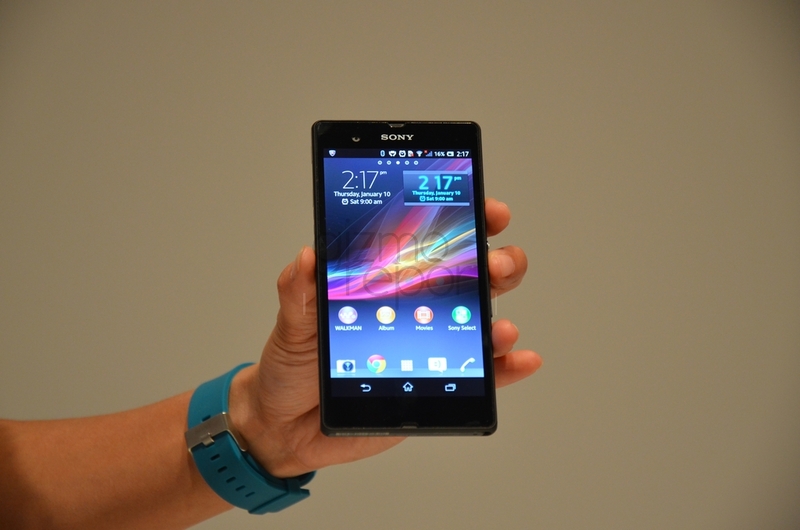 The Xperia Z is completely waterproof (up to 1m for 30 min) and dust proof. This waterproofing is still not available in all major android smartphones like HTC One, One X+, LG Optimus Smartphones and Galaxy S and Note lineup. We’ve tried to use the phone even as the underwater camera. As the smartphones are getting a part of our life, they also need the extra protection, and that is what Sony has done with the Xperia Z with the waterproof and dustproof features that would make us carefree, and you are totally out of fear when the phone is being washed directly in the running tap water. But the same feature which we are boasting about, is leading to one serious problem in the device. I personally own Xperia Z because of its standard design and beautiful display but am being hit back because of the major issue that has been a worry for quite a few other smartphones in the past. Whenever I take a few pictures or start recording videos i.e. while using the rear camera, the rear body in the vicinity of the camera becomes very hot. It’s got more noticeable a week after I started using it, but that could again be a reason that initially this might have been ignored as someone like me who is excited about the newer stuff included in the device, tends to ignore the problems occurring in it. I used the rear camera to record a two-minute video and after a few moments, the device started getting hot. After two minutes, it was extremely hot so I stopped using the rear camera instantly. It might not be the case with every Xperia Z user, but this happened to my device, and there was no solution available online for this. For someone like me who is more into the circuits and internal parts of electronics, the feature of being waterproof is the reason behind this problem. So, the feature which the product is being sold for, is the same which is a known reason to me for causing a serious issue in it. Why is the Sony Xperia Z Heating Up? Sony has made this device completely water proof and this is why the device is completely covered up. There is no space for water to get into the device’s hardware. On the other hand, there is no space for air to get into or get out of the device and this is the cause for this heating up problem. I checked for the solution at Xperia service center and the engineers there were helpless as they can’t provide a permanent solution to this problem. This problem is with every Xperia Z smartphone. This is not an issue at all when you are just capturing small videos and tending to ignore the heating part, but when you are one of those who bought the device for the 13-megapixel lens to do the capturing all the time, you need to consider the following solution below. Whenever I use rear camera, then I open the covers of the device. Wait, which covers? I’m talking about the covers which are covering the ports of the device. Yes, the loudspeaker, microSD, microUSB and SIM card port. These are the ones which would keep the inflow and outflow of the air possible, and would still reduce the heating up a little. So, next time when you use the rear camera then open the loudspeaker and microSD port so that air can flow within the device. Don’t consider this as the permanent solution, but as of now I could see only this working a bit in keeping the temperature in the phone normal.